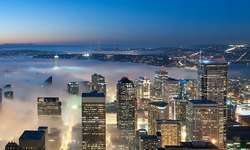 Seattle is known as the seaport city of the West Coast, previously known as a logging industry. Today, Seattle is a major technology and internet hub, with companies Microsoft and Amazon headquartered in the city. New software, biotechnology, and Internet companies led to an economic revival, which increased the city's population by 50,000 in the early 2000s. If you are visiting the West Coast, Seattle is a must-see place. Hopefully you will get good weather, as it's known to be a rainy city. 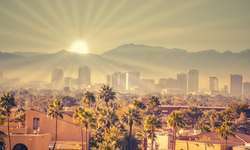 Besides the weather, the city is fairly new compared to many established cities in the United States, due to the entire city being rebuilt after a massive fire. 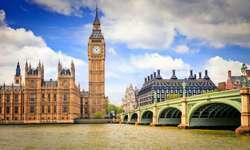 London is the capital of England and the United Kingdom. London was first founded by the Romans in 50 AD and has been settled by two millennia, and is full of history, architecture, and lots of Fish and Chips. London is the largest financial center in the world, and is currently the most visited city in the world in terms of international arrivals. It's no secret why -- the city has so much to offer! London is home to some of the most historic and most frequently visited landmarks, including the Buckingham Palace, The London Eye, The Tower of London, Piccadilly Circus, St Paul's Cathedral, Tower Bridge, and more! 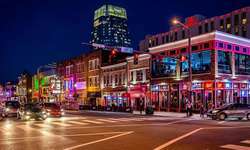 Nashville is the capital of Tennessee, and known as the music capital of the United States. It is the home of country music, but its entertainment scene includes many different genres. Some of the most famous country music landmarks in Nashville include the Country Music Hall of Fame and Museum, Belcourt Theatre, and Ryman Auditorium. Nashville is also the home of many colleges and universities, with Vanderbilt University as the largest university and employer in Nashville. Tourists tend to also enjoy the historical aspects of the city of Nashville, as it was a major site in the civil war. Nashville is one of the most popular cities in the United States, and if you plan on making a trip soon, get ready to have a full schedule of activities! Maui is a land of paradise. As one of the beautiful islands of Hawai'i, it is a place where mainlanders may travel on a tropical vacation. For the locals, Maui is home. The local traditions are quite spectacular, and while visiting Hawaii you will notice a major difference in culture -- even though it is part of the United States. There is so much to see in Maui, most of which are beautiful natural landmarks. Much of the nature is still preserved in this wonderful island, and it is full of remarkable beauty. From the black sand beaches, to the blowholes, volcanos, and waterfalls, your trip to Maui will surely be full of adventure. Some of the most famous foods to eat when visiting Maui are poi (a starch dish similar to a potato), kalua pork, and salmon. As you might have guessed, the seafood on the island of Maui is pretty delicious! To top it all off, the weather in Hawaii is nice most of the year, with a short rain season between summer and winter.